Get Well. Live Well. Stay Well. 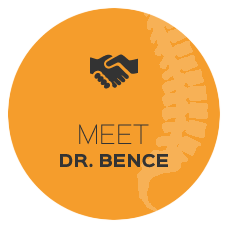 Dr. Bence has earned the prestigious status of Certified Wellness Practitioner (C.C.W.P. ), one of the first doctors of Chiropractic to complete this comprehensive program awarded by the International Chiropractors Association’s Council on Wellness Science. I became a chiropractor to enrich people’s lives through wellness, the natural way, the way I did and continue to do. As a Certified Wellness Practitioner, you will receive the best, a Total Health Solution.” Dr. Pavel Bence, D.C., C.C.W.P. Reclaim your life! Wellness can be yours for years to come! Contact one of our offices today!